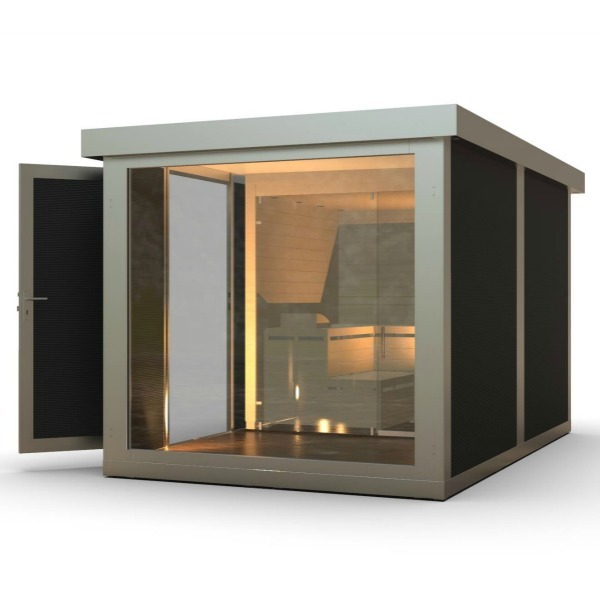 The CUBE fx Garden Sauna opens up a whole new dimension to your home spa! This makes every garden the perfect feel-good area - no matter what the weather! The clever layout and use of space allows for maximum comfort during and between the sauna sessions. The entrance hall of the sauna can be used as a changing room or break room.